Following its recent global acquisition, Cherry Heering Liqueur will be available to bartenders and consumers across the United States through Royal Dutch Distillers. The Miami-based subsidiary of De Kuyper Royal Distillers will act as the exclusive importer and sales and marketing force of the renowned and well-established Cherry Heering brand. 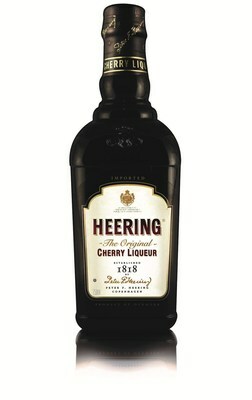 De Kuyper, well known for the world’s largest brand of premium cocktail liqueurs, had announced the acquisition of Cherry Heering in October 2017. “The United States is the number one cocktail market in the world, and a key market for Cherry Heering,” says Mark de Witte, CEO of De Kuyper. “We are very pleased that we can now bring this internationally recognized and iconic brand to bartenders and retailers in the US, in conjunction with the other great brands in the portfolio of Royal Dutch Distillers: Rutte Gins and Genever, Mandarine Napoléon, Italicus Rosolio di Bergamotto, Half Hitch Gin and ChocoVine. We are continuously looking to extend our range of premium brands to offer customers a most complete portfolio. Just like our premium spirits, Cherry Heering is the global reference for a variety of classic cocktails and fully in line with our Global Company Strategy and vision to ‘Own the Cocktail'”.